my CX with Fast survey has stopped saving the points. when the unit is turned off the surveyed points are gone. ideas?? The only places on a CX that are non-volatile are “My Device” (and subfolders) and the SD Card. You are probably storing jobs under “My Documents” which definitely is not backed up. Just change to any folder under “My Device” and you will be fine. I’m still having issues with one PM3 not recognizing the antenna. I know it’s with the receiver and not the antenna by process of elimination. 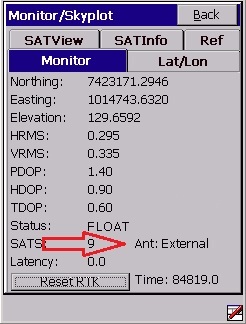 I can sometimes get the PM3 to recognize the antenna with on cable for a few minutes, but then the dreaded “Antenna not connected, logging can not take place”. I am a Portuguese citizen and I have a couple of promark 3 receivers, one of them has now decided not to start, the screen light turns on but does not start. Open it and the backup battery is corroded. Do you think the problem may come from there, or is it a software or hardware problem? I don’t think it would keep it from starting, but it might be worth a try. Try to start with unplugged from external power. Some of the PM3’s would have a very difficult time starting when plugged into external power. Well, then I do not know what’s happening, the pmk3 receivers spent some time with the batteries discharged, but only that one is in trouble, the other is working well. 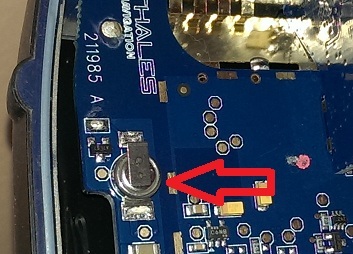 The initialization was done with the battery, it was not made connected to the electric current. When I press the power button, the screen will light but will not start. Here in Portugal, unfortunately, I do not think there is anybody who can assist with this equipment.